Three points in the bag? 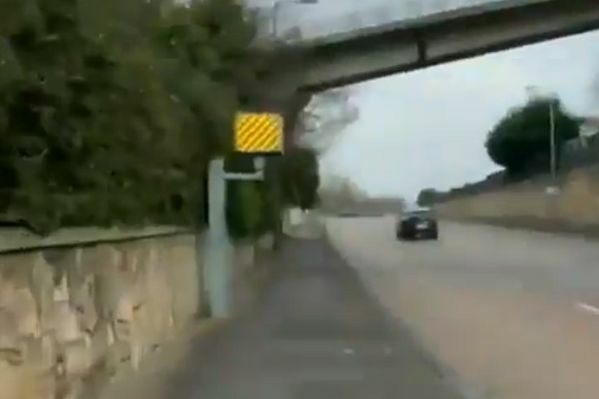 Peterborough United striker Jason Cummings filmed himself running past a speed camera in a humorous attempt to try and set off the trap. The Scotsman, on loan from Nottingham Forest, was out for a run when he encountered the roadside traffic enforcement equipment. In a clip that he shared as an Instagram story, Cummings mimics the sound of the speed camera and exclaims “three points!” as he zooms past it. Cummings made an electric start to life at London Road, scoring six goals in his first seven games and winning August’s League One player of the month award. However, his form has tailed off since the emergence of a video apparently showing him trashing his own flat in a drunken rage after splitting from his girlfriend. He has been linked with a move to Sunderland as well as a return to former club Hibernian, where he scored 71 goals in 150 appearances.